Well let me reassure you. Phill is the most helpful, reliable, honest and down to earth person you will ever deal with. We bought an ex hire van and when we arrived to collect it everything was 100% checked, clean and ready to travel. We were going to do the overseas owners scheme but as IN has property in France we were able to register it in IN’s name and save ourselves the expense of registering a company (I think that’s how it works from memory?) I would have no hesitation using the scheme if we had to though. Phill and Hannah have spent ages making sure it is watertight and I trust them implicitly. I assure you, you would not regret working through Eurocampingcars. We had a small fender bender on our first 6 month journey – called Phill, came back to Veron and he did temporary repairs to make sure we were legal for the UK where we were headed in a couple of days so we didn’t miss our ferry. That’s service! We were very happy with the price we paid and it compared well with others on LeBonCoin (a French equivalent of Trading Post). Unfortunately we had to postpone our 2016 trip due to a bout of ill health but Phill was happy to garage the van for almost a full two years. When we arrived this July to do the next trip, the van was once again clean, serviced and ready to go – including some additions we had asked him to do prior to our arrival. 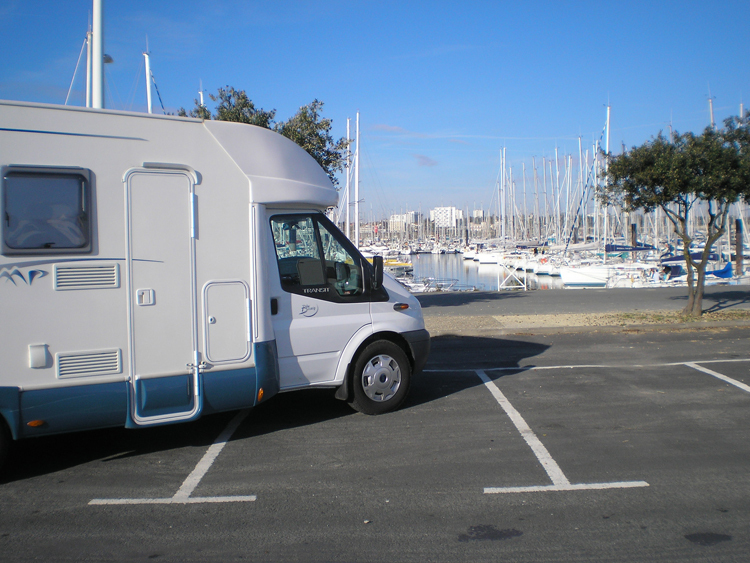 Advice for would be motorhome buyers and travellers? Don’t hesitate – do it as soon as you can!!! It has been the most amazing experience and is a wonderful way to see Europe. We are dropping the van off with Phill next week and will be back in 2018 for the next sojourn. If after that we feel we need a newer model, I’d buy from Phill again in a heartbeat.